A pork chop bun is one of the most famous and popular snacks in Macau. The bun is extremely crispy outside and very soft inside. 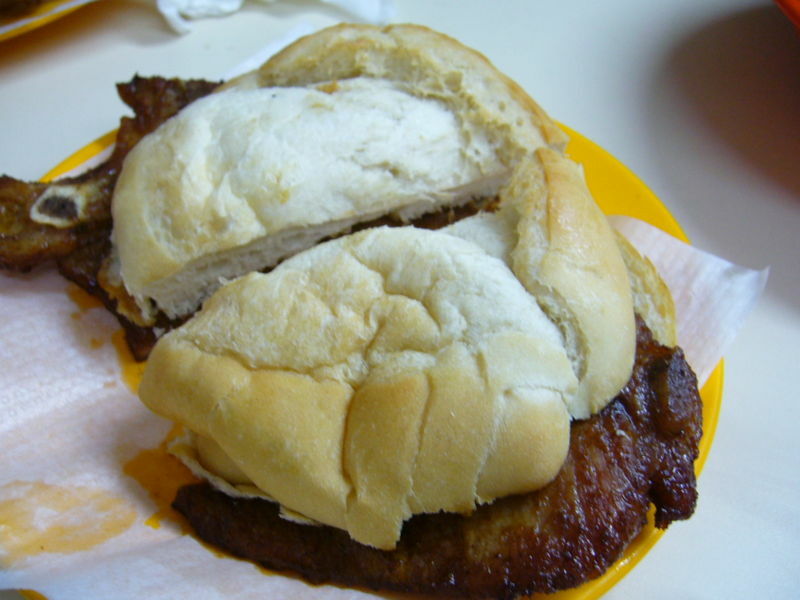 A freshly deep-fried or pan-fried pork chop is filled into the bun horizontally. Macau pork chop buns are made to order. The ingredients of a pork chop bun are only a piece of pork chop and a bun without accessories like lettuce or cucumber.